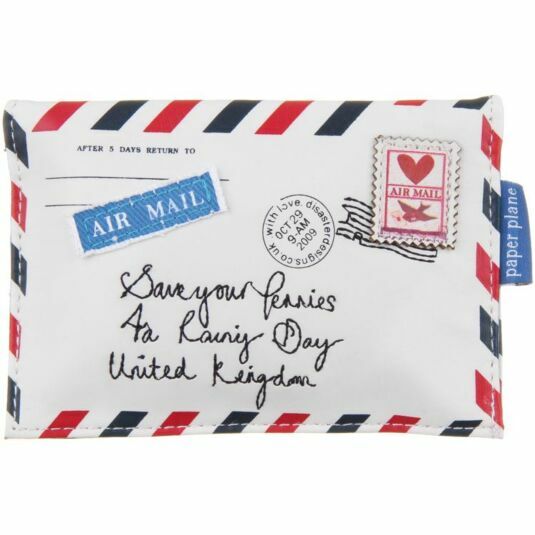 Keep your pennies safe in this vintage styled Paper Plane purse that looks like an envelope both on the front and the back. It is creamy-yellow in colour in emulation of an an old envelope, faded with time. 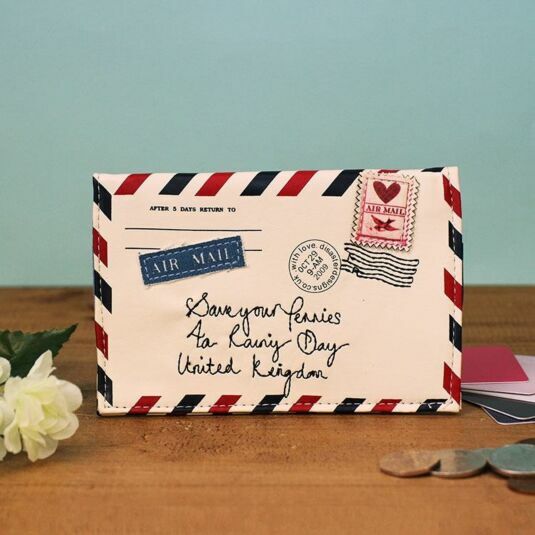 The front features the embroidered words 'save your pennies 4a rainy day, United Kingdom'. 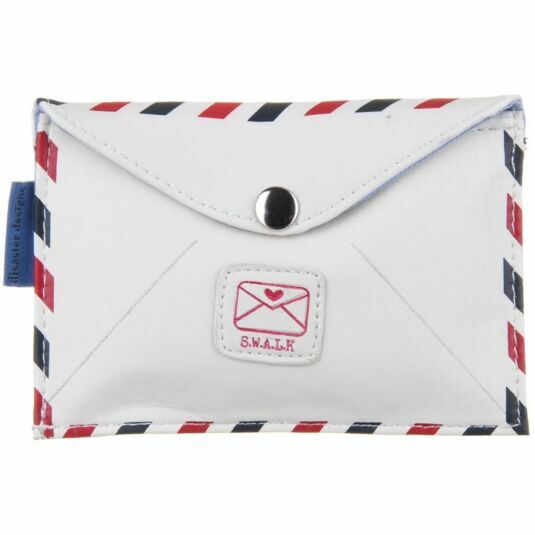 The purse is also adorned with a stitched Air Mail label and a stamp and S.W.A.L.K (sealed with a loving kiss) is printed on the back. This purse has a popper fastening and a zip. This stylish purse is a hand bag essential, with an old-fashioned appeal across all ages, from teens to mums to grandmothers. The Paper Plane range from Disaster Designs combines the closely related themes of travel and airmail stationery with vintage packaging and textured stamp accessories. The detailed designs are mixed with worldly travel maps, intricate aeroplane imagery and parcel wrapping. Each piece within the range implements these global themes to produce a range of products that are perfectly fitting as travel companions, for all intrepid travellers with a keen eye for accessorising!